At The Bone House, we love a good multi-use product. Especially one we can confidently use on ourselves, around the house, and on the dog! Which is why we are so excited to now carry Diatomaceous Earth. DE is a 100% food grade, natural, non-toxic water sediment from freshwater sources. It's made from shells of prehistoric diatoms that have been crushed into a fine powder. While some industrial versions are harmful to humans and pets, food grade Diatomaceous Earth is safe and holds many benefits. How do I use it on my dog? DE can be used both internally and externally with your dog. It's especially helpful in the warmer months, when fleas and swims in the lake are so common. Sprinkle and rub DE into your dog's coat at the beginning of the season (refreshing after each swim or bath) to protect against fleas and ticks. It also has strong deodorizing properties to naturally keep them smelling fresh. DE can be mixed into dry, raw and wet foods or sprinkled into water easily. With daily use you'll see an improvement in their skin, coat, nails and teeth. DE also promotes healthy digestion, immunity and metabolism while eliminating worms and other digestive mites. And I can use it around my home? Definitely! As previously stated, Diatomaceous Earth is a natural deodorizer. Sprinkle it on litter, compost, or any smelly space that needs to be neutralized. DE is highly porous and able to bind to even oils and other substances, making it an ideal cleaning solution. It absorbs moisture which eliminates mold and mildew inside or outside of your home. DE can also be used to get rid of bed bugs and as a natural pesticide in your garden. Food grade Diatomaceous Earth has similar benefits for humans as for dogs. It can improve our teeth, nails and make our coat - er, hair - shinier. It can be used topically as a facial exfoliator, a coagulator on open wounds and to treat rashes. 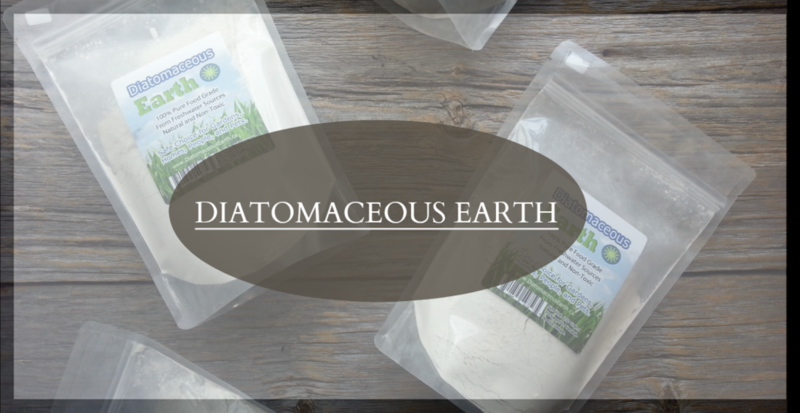 This spring, beat the bugs and odours with Diatomaceous Earth! Pop by The Bone House to grab a bag today or visit the DE website for some more information on the product. Be sure to follow us on Facebook, Twitter and Instagram to see our latest products and puppy crushes!